Logical Network topology is also called signal topology. Every LAN has a topology, or the way that the devices on a network are arranged and how they communicate with each other. The way that the workstations are connected to the network through the actual cables that transmit data -- the physical structure of the network -- is called the physical topology. The logical topology, in contrast, is the way that the signals act on the network media, or the way that the data passes through the network from one device to the next without regarding to the physical interconnection of the devices. Edraw Network Diagram is ideal for network engineers and network designers who need to draw logical network diagrams. 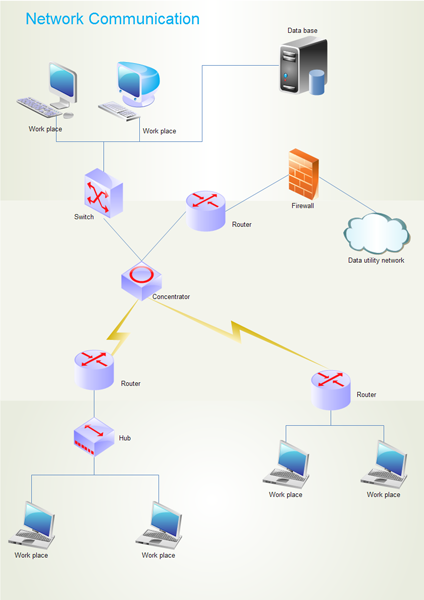 Click here to free download Logical Network Diagram Software. Then you can use the built-in template to create and present your logical network diagrams in minutes. 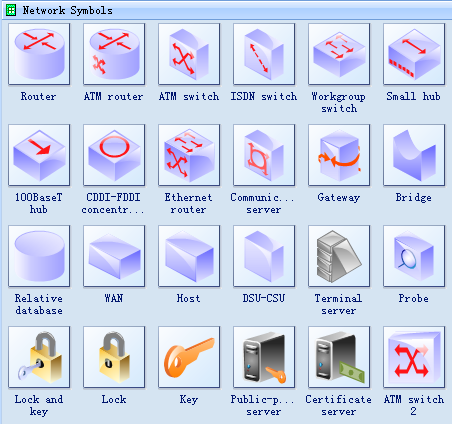 It has defined some commonly used symbols to draw logical network diagrams. 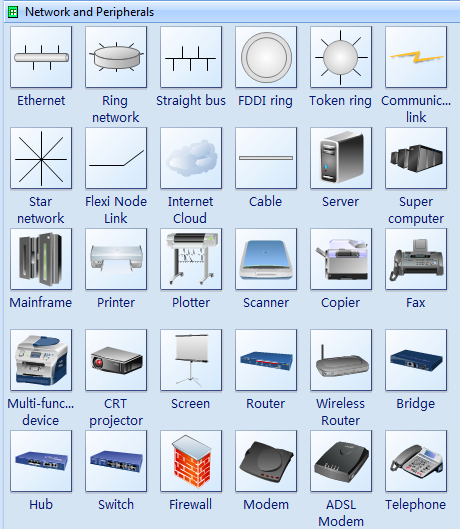 Just drag and drop pre-drawn shapes representing computers and network devices. The logical network Diagram will be used to represent how you network connections are using the upper layer of the OSI, and will help to understand your IP addressing. Logical topologies are bound to the network protocols that direct how the data moves across a network. The Ethernet protocol is a common logical bus topology protocol. LocalTalk is a common logical bus or star topology protocol. IBM's Token Ring is a common logical ring topology protocol. A network's logical topology is not necessarily the same as its physical topology. For example, twisted pair Ethernet is a logical bus topology in a physical star topology layout. While IBM's Token Ring is a logical ring topology, it is physically set up in a star topology. 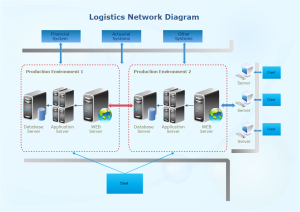 A logistics network diagram example combine network graphics and data to present logistics network diagrams, architectures, business process flows & compliance. 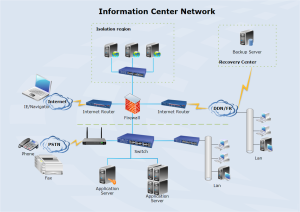 View a data center network diagram template and make the most of it in your own designs. It will surely be of great help.